Men's white Brooklyn Brewery 3/4 sleeve baseball tee shirt. 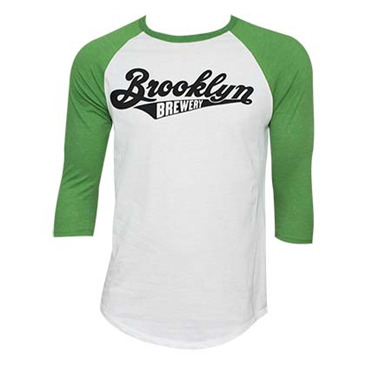 Made from a cotton/poly blend, this shirt features the "Brooklyn Brewery" logo on the front with green 3/4 sleeves. Officially licensed.